He comes in with an expression that can best be described as desperation and fear. He said that I was not going to believe what “THEY” are trying to do to him now. He was full of negative thoughts. He had missed several follow up appointments, but I had seen him in the streets while doing outreach and reminded him that we had to meet up to get an update on his status. He finally came in stressed and disappointed, with the long stare of the man-child that is fighting a war here in our own back yard, a war that some don’t know about and most of those that know don’t care. He said that he just found out while using the internet at the McDonald’s in the train station that a family member was trying to get custody of his one year old child. I sat and listened to him. I felt his painful watery eyes. Oh how familiar I am with the moments when doubts take over you. Oh my GOD. The feeling of desperation. But in a moment of decisiveness I saw his mood changed from hopelessness to hope. You see, today we made a phone call that changed the course of his present mood. The phone call lead to an open world of possibilities. One phone call made the difference. A phone call. A simple phone call lead to him being able to see his child for the first time in seven months. A simple phone call gave him back his parental rights. 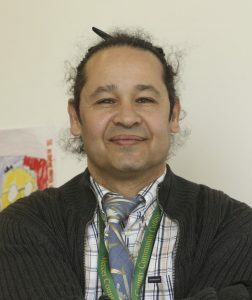 The phone call also generated a case worker for the first time and an upcoming court date where he will be able to have a voice for his child. He left the CEAS Center on his way to see his child. On his way out, I reminded him that he must stay positive and to please not forget that he has to come by tomorrow and give us an update. The next date he was there early in the morning. His eyes were alive, vibrant, hopeful. The man-child, almost a whole man. But either way a father of a beautiful one-year old baby. He said that his child took to him as if they had never been separated. I told him that I had heard that children never forget the scent of their parents, or of their loving and nurturing touch. I was super happy for him. In this unseen war out here, he and I shared a triumph. More than just outreach. A father homeless. Traumatized by being separated from his baby. Who dares to walk in his shoes and feel the desperation that comes from worrying for one’s own child? Who dares to judge rather than to help him? Arm In Arm and the CEAS Center are doing much more than just outreach for the chronically homeless. Personally, Arm In Arm has been my son’s and my saving grace, and I have heard it very loud how the CEAS Center does not cease to amaze. 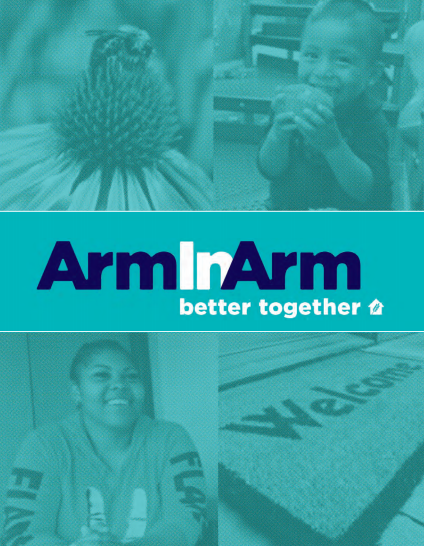 Arm In Arm partners with the CEAS Center to reach out to chronically homeless neighbors in Trenton to connect them with stable housing.